Product review mini tunnel from First Tunnels The lovely folks at First tunnels sent us one of their not so mini – mini tunnels to test out and review. 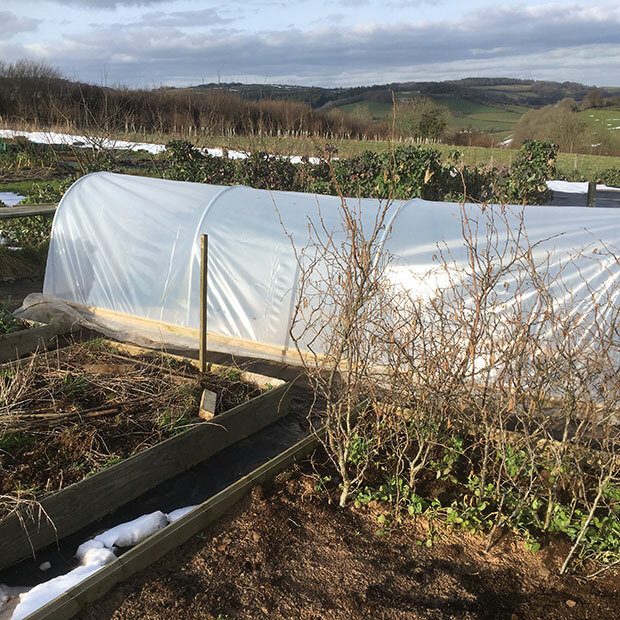 The mini tunnels are 4ft (1.22m) wide and available in three different lengths with the option of a polythene or net cover. 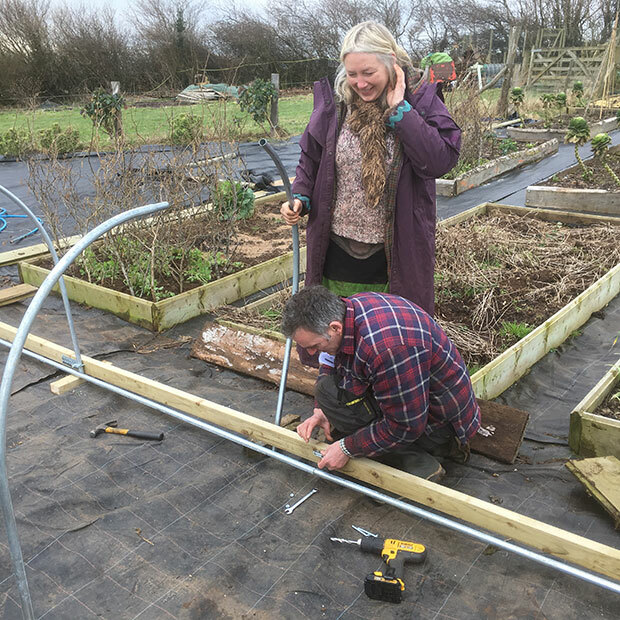 We received the largest of the three at 4ft x 15ft (1.22 x 4.57m) and were very excited to try another of their products having had one of their larger tunnels on our site for the last 6 years. 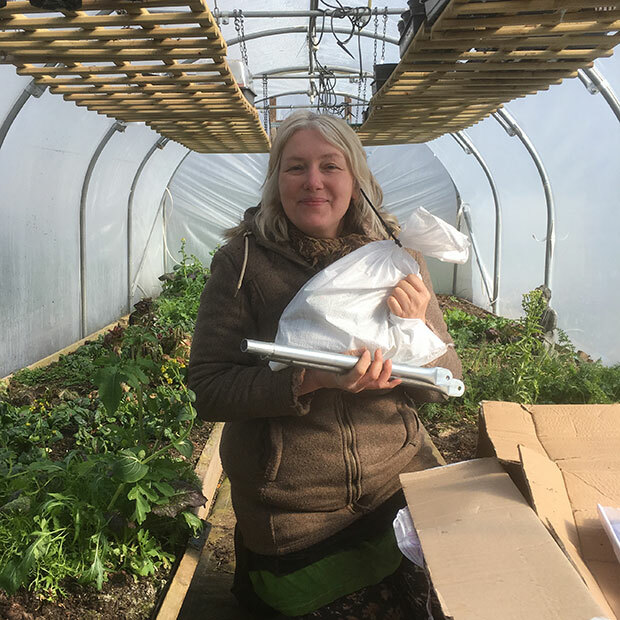 Those that have a polytunnel know, that once you have one, you always dream of more…just think of all the extra plants you can get in there! It arrived in just 3 days. The idea of a mini tunnel, or portable plant protector is that you can move it around once built and it can be used to give a protective and warm environment for tender crops in the cooler months, act as a mini hothouse for tomatoes and peppers and other heat loving specimens and also a barrier to pests. The mini tunnel could easily be placed over a raised bed or can even be used inside a larger tunnel to create a micro environment. Good idea to read the instructions fully first, as it is easy to get carried away and start doing things in the wrong order (and also to prevent a lot of swearing!). They were easy to follow and it took about 3-4 hours in total to construct. Basically it is built in three stages – the base frame, then the hoops, and finally tensioning and securing the cover. We were really impressed with the sturdy nature of the materials, it really is a well made kit that is built to last. You will need a saw, hammer, cordless drill, screwdriver and staple gun to hand. Wait for a calm quiet day to do your construction, not at the moment the Beast from the East arrives to scupper your plans. Just managed to build the base and hoops before being entirely buried in snow and ice for a week. 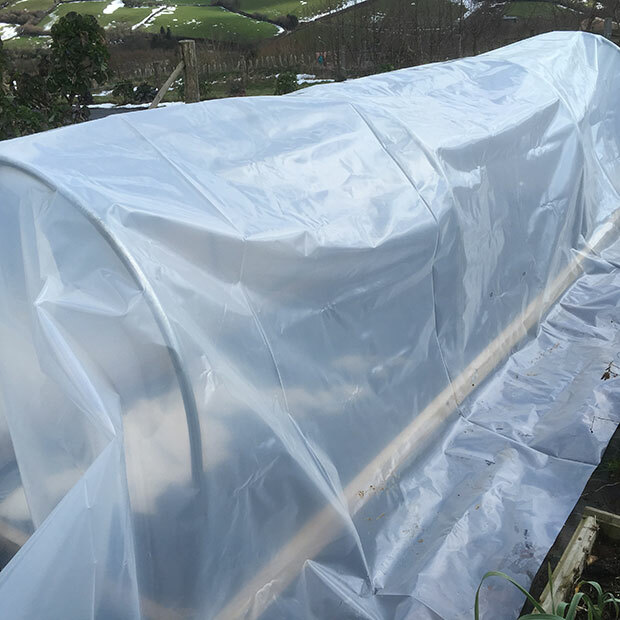 Once thawed we waited for a ‘warmish’ day to get the polythene cover on. We did this with two of us, but if you can get a couple of friends to help with the tensioning of the cover you would get a super snug fit. 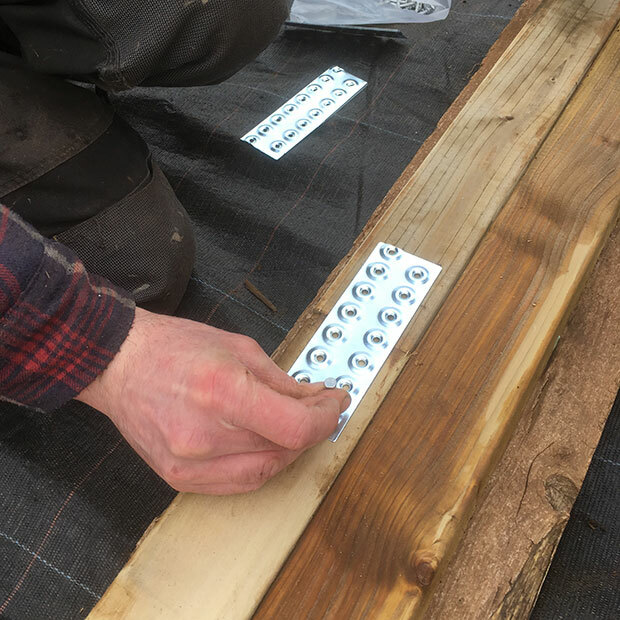 The only slight issue we had was our staple gun firing staples right through the polythene, so we improvised with some small tacks to hold it in place while we nailed on the wooden securing batons. The mini tunnel has two drop down legs that prop up one side for ventilation on hotter days. 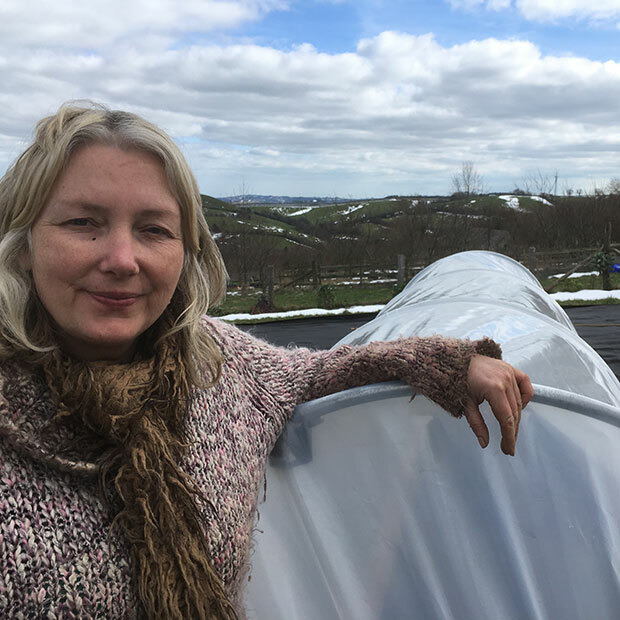 We are on an exposed site, but because of the size of the not so mini – mini tunnel it is quite heavy so should withstand windy conditions and not be blown eastwards and cloche an unsuspecting shopper in Ashburton. Now that sounds a bit wrong! 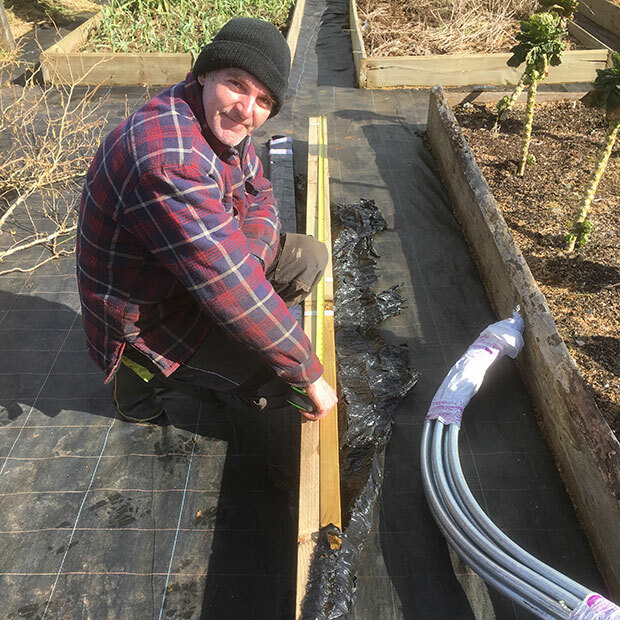 However we are going to make a couple of customised tweaks by tacking on a 2ft strip of enviromesh around the base so when it is propped up for ventilation there will still be a barrier to pests. 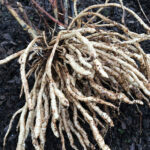 We are bringing on some of our perennial kale plants in there for the moment, so are giving them this extra bit of protection. 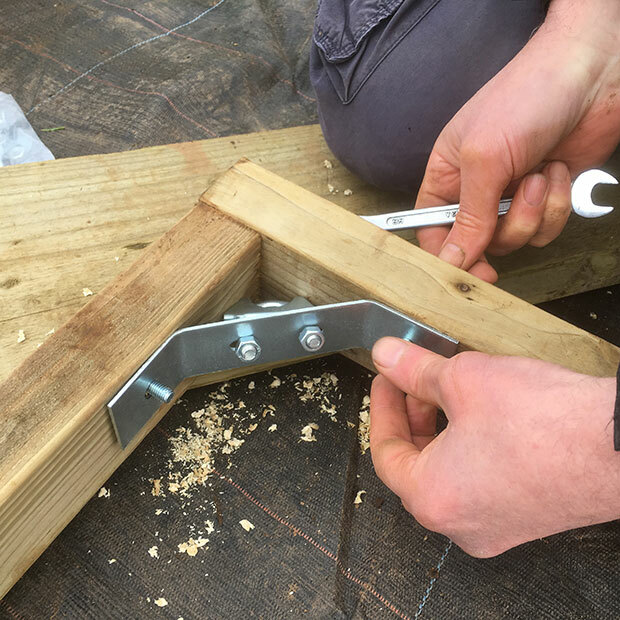 We are also going to add on a central handle to make it easier to lift up one side for watering plants and will make our own wooden prop (like you would use for a washing line only shorter) so we can water without having to bend down so far. You could actually turn this into a nice portable brassica cage by replacing the polythene with enviromesh. The thermal plastic is quite opaque and it is possible to hide in there without being seen…plenty of room for a sun lounger and a cocktail or two after a hard day in the veg patch.